Standard Work may be the most important Lean manufacturing tool that you don’t know enough about. Built on the three elements of takt time, work sequence and standard work in process (standard WIP), it is the cornerstone of the Toyota Production System. More managers are reading about Standard Work as it is used at Toyota and they want it in their factory. But many misunderstandings remain. Standard Work is not about work standards. Standard Work is not about work instructions for the operator. It is all about kaizen instructions for managers. Many managers like the idea of Standard Work because they see it as detailed work instructions for the operators. The Standard Work Instruction Sheet is used as part of the work instruction documentation, but the Standard Work Sheets and Standard Work Combination Sheets are meant for visual management, not work instruction. By documenting the current most effective combination of manpower, machines and materials, these two documents show how the line or cell should be running – the standard. Any deviation seen requires kaizen. This is abnormality management. For example imbalances between operators cycle times that results in waiting time can be identified on the Standard Work Combination Sheet, calling out for kaizen. Standard Work Sheets point out the proper work sequence on a layout of the work area and identifies safety and quality checkpoints. Managers auditing the Standard Work can see at a glance where kaizen is needed. Standard Work is much more than a way to document the standard and create work instructions for the operators. 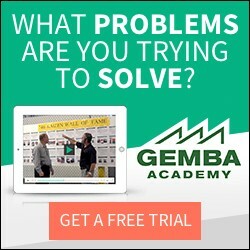 Standard Work is kaizen instruction for managers who go to the gemba to observe the process. Stay tuned to this blog to learn more about Standard Work, or if you can’t wait get your Standard Work here.